A shift from blogger to self hosted wordress can be daunting, but the lovely Kate from Laughing Kids Learn took the big move in her stride and pretty much gave me free-range to design her new blog! 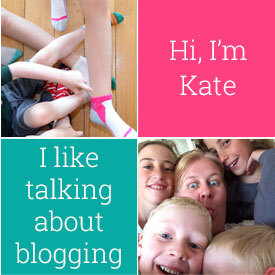 Lots of bright coloures and a fun font compliment the great kids activities and family recipes Kate shares, and it has been a pleasure to watch her blog grow since her big move to wordpress. 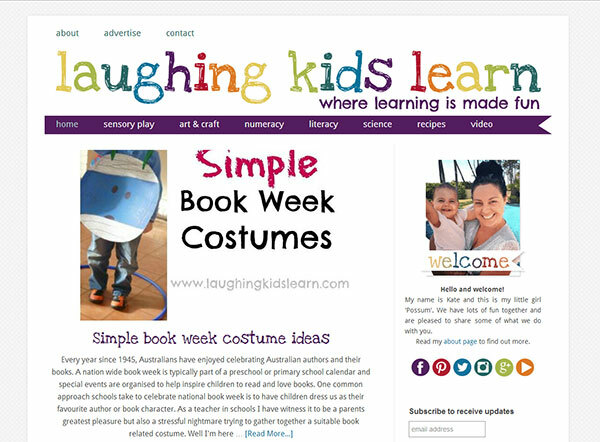 Laughing Kids Learn is built on the Genesis framework using the Lifestyle Pro child theme, with a little customization. It has a basic text based logo which is included in the Simply Awesome blog design package.